Disneyland Resort and the union representing theme park workers announced Monday they have reached a tentative contract agreement, following weeks of protests by park employees who claimed that some of them were earning poverty level wages. Terms of the proposed labor deal between the park and the Master Services Council -- which includes four labor unions that collectively represent about 9,500 workers at Disneyland Park, Disney California Adventure Park and Downtown Disney -- were not disclosed. "The Disneyland Resort and Master Services Council are proud to have reached a tentative agreement, which we are hopeful will be ratified later this week," according to a joint statement issued Monday. 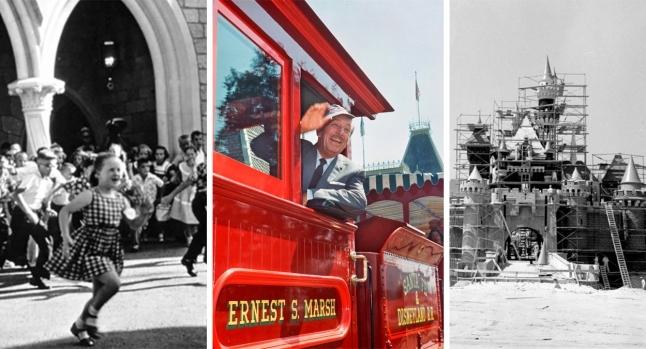 "We have had a successful history of working together since Disneyland Park opened in 1955, and this contract continues that shared commitment to cast members." A spokeswoman for Disneyland Resort said additional details of the agreement will be released once the contract is ratified. In May, Disneyland Resort officials said they had proposed a wage offer that would amount to a 36 percent increase over a three-year span for its hourly workers. Under that proposal, Master Services Council workers would make a $15-per-hour wage by 2020, which would be two years ahead of the state's minimum wage standard. MSC employees work in the areas of attractions, stores, custodial, main entrance, costuming, bakery/confection, resort transportation and parking, and the onsite distribution center. Park workers have been staging rallies for weeks calling for increased wages. The union representing workers issued a report earlier this year contending that some Disneyland workers were paid so little they had recently experienced homelessness and others were unable to afford three meals a day. Disneyland officials blasted the report as "inaccurate and unscientific." Some unionized workers had planned on Tuesday to begin a week of fasting in an effort to pressure Disney into boosting wages. With a tentative contract reached, workers will instead gather outside the theme part to celebrate the deal and call for its ratification. "I am so proud of all the members of my union, SEIU United Service Workers West, and the Master Services Council, for all of their hard work in this effort," said Artemis Bell, a member of the union bargaining committee. "Disney workers have been hiding in shame for too long, and it took us coming forward and taking a stand to make a real change."